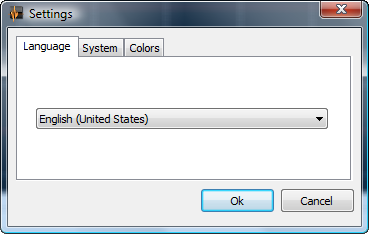 Select the language source file editor.dklang wich you already downloaded at first step and click the “Ok” button. 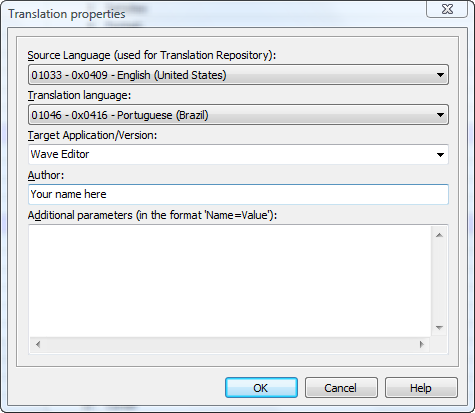 Next window called the “Translation properties”. for Translation Language select the language to which you will translate. Target Application is a “Wave Editor”, Author is your name/nick. Click the “Ok” and you can start translation. “Autotranslate” and “Repository” features can save your time. 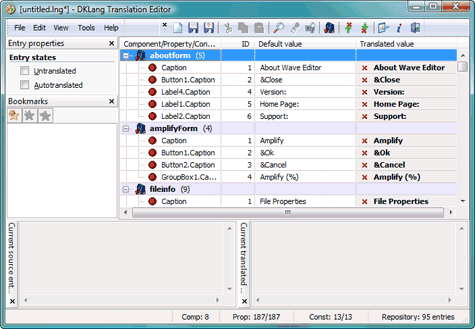 Run Wave Editor, open File->Settings->Language and select your language.